“Poses make their first public appearance at New York Jones Beach as sunsuit tops. Inventor claims they can also be worn for active sports. 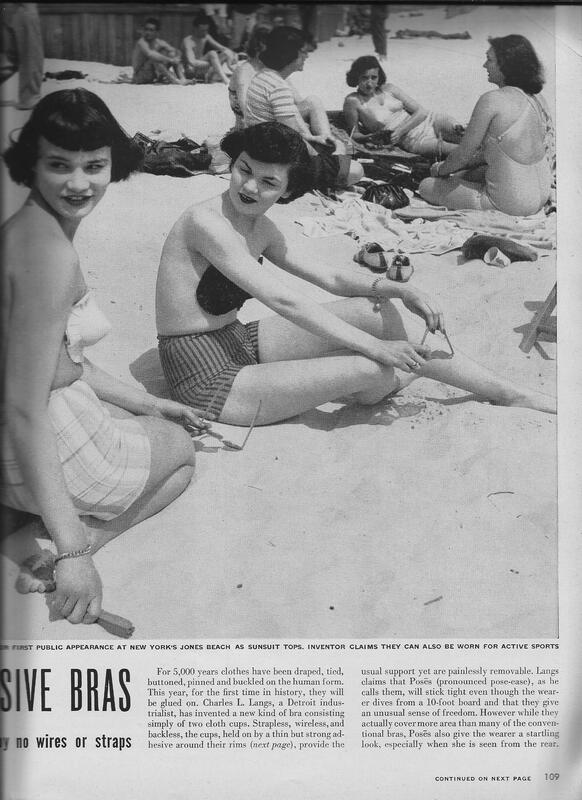 Photo and text from Life, 1949. The article also said Langs planned to produce 200,000 per day. A month or so after the article, the ad, below, appeared in Life. I’m sure as hell glad guys don’t wear anything over their beautiful pecks. 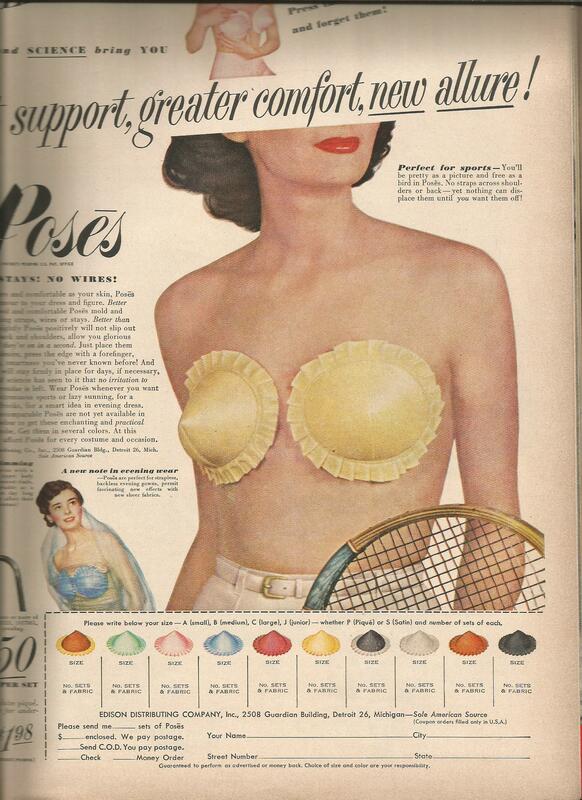 This entry was posted in Ads, women's fashion and tagged Bikini cups without straps, Poses. Bookmark the permalink.